Steel garrison fence made by high quality galvanized steel materials,the vertical picket use 25×25mm tube,spear shape on the top.The horizontal rail use 40×40mm tube,the vertical picket face welded on the horizontal rail,or the horizontal rail punched hole,and the vertical picket through the hole then welded.The Post standard use 65×65mm. Adopted high quality hot dipped galvanized steel tube. Top vertical tube pressed to spear by heavy duty punch . Horizontal rail is punched holes which can insert vertical rail. Combine strongly by our exquisite clamp. Other way is vertical welded to horizontal bar directly . Spear fence /Picket fence’ s artistic and practice are complimentary by client. Available as any high , the fencing can be supplied as client requirements. Width from 2100----2600 all available . Rail can making 2 pcs /panel,3pcs/panel ,4pcs/panel. Decorative accessories on rails available. Pale welded face on rail,or punched through rail and welded,or using specialized clamp to connected. It is often used in Villa, Garden, Residence community , industry area and so on. 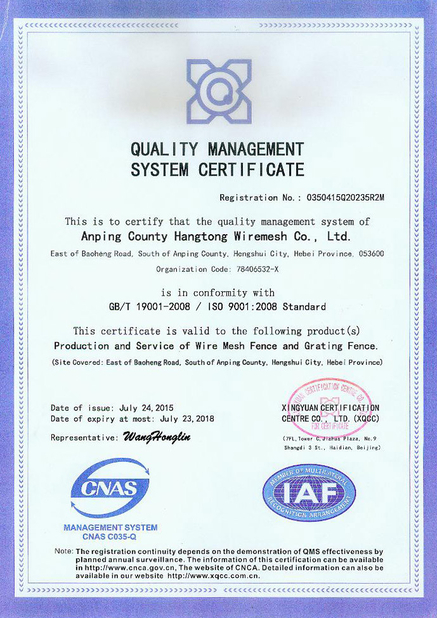 Q1: HT-Fence are manufacturer of trading company? 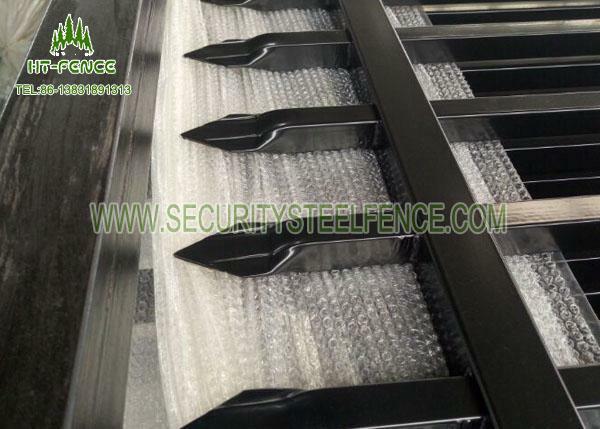 A1: We are produce metal fencing products ourselves and trading on other kinds of products. Q2: Where is HT-Fence's factory? A2: Hengshui City, Hebei Province, China. Q3: How many years manufacturing experience HT-Fence have ? Q4: How many years warranty HT-Fence offer? 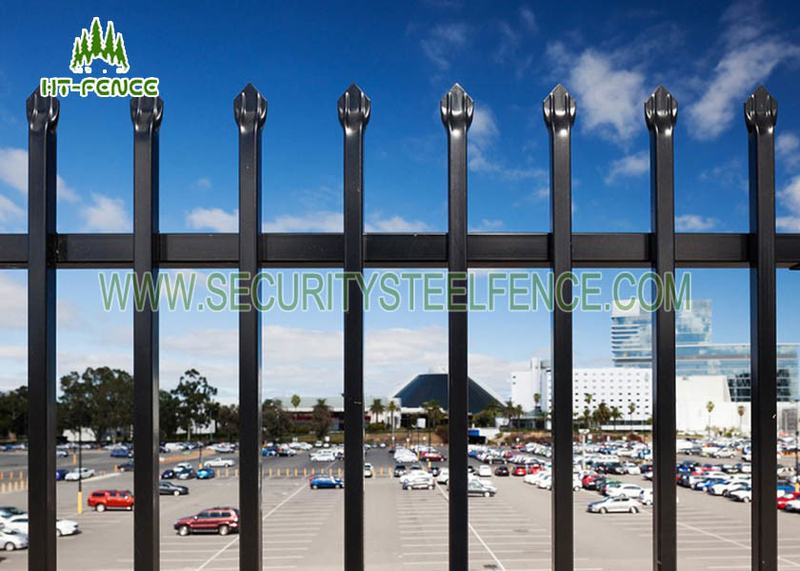 A4: It depends the using environment ,HT-Fence normally offer 10 Years, 20 Years Warranty.